what would be the one thing you'd do again? I've been looking at some of the options like DP or the boat trips from GF to watch the fireworks etc. and am wondering what would be the 1 thing you would have again or recommend us brides to be to have at our wedding. I only have a small group of guest's as we are coming from the UK but I want to make this trip something my guest would remember always. Also which resorts did you find the best to stay at, I've been looking at PO- French quarter and the Saratoga Springs as they are close to down town Disney. I loved the dessert party and it would be the first thing I'd do again. It was such a special moment to be in the park with all my friends and family. The only thing I'd change (besides the weather) is that I'd do it on the night of the wedding rather than the night before because it would have been fun to wear my dress. Definitely the DP. 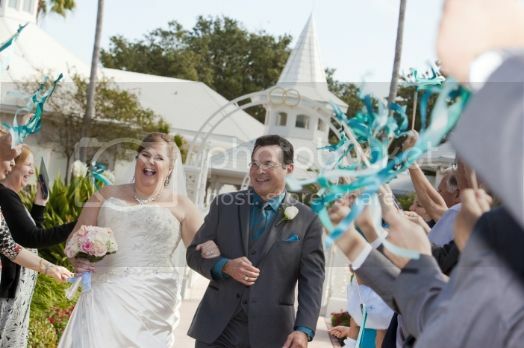 We had an Epcot wedding so our reception was over at 3:00pm and the DP that night was the thing that kept us from feeling like the day was too short or had gone by too quickly. More than anything I also feel like it's one of those things that really says to your guest "THIS is why we could only get married in Disney!" My parents have stayed at Saratoga and love it; they say it's quiet and the rooms are quite spacious. -Hire Mickey and Minnie. Especially if you have a small wedding. I had 47 guests and it was PERFECT. They will visit each and every guest---TWICE! 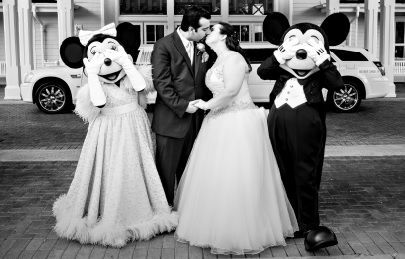 -Disney Bridal Portrait Session. Such a special moment you will share with your spouse and the pictures are wonderful. The idea of a DP has been in the back of my mind since we decided on WDW. I haven't read one comment from anyone who has regretted it, and many comments from people who wish they had done it. Your comment that "THIS is why we could only get married in Disney!" nailed it. Thank you! I need to call my planner LOL! I definitely would do the dessert party again for sure! We had 27 in our group, and I think everyone really enjoyed it. The time just flew by though...I felt like it was over so quick!!!! Such a special memory though! Thanks Brooke! We expect about the same number of people. I saw your other post about Soarin' and desserts. We would be coming over right from our dinner at the Attic mainly to extend the evening and for Illuminations. I will have to control myself with all those yummy looking options. Can I ask how long do the DP last and can you have photo's when its happening as I think fireworks would make an amazing backdrop. Do you know if they have options for groups under 10 people? We got to our location around 7:45 or 8:00; had our desserts and mingled and then watched the fireworks at 9:00. We did have photography, so they took some pictures of our guests mingling and Joe and I didn't get to watch the fireworks at all (we had seen the show before, so it wasn't a huge disappointment to us) while the photographer took pics. We got some amazing shots though!! As far as under 10 people, I think they'd just probably give you a small party fee (we had exactly 10). There are locations that are available for smaller crowds. I loved our Dessert party and having Mickey and Minnie was a shock to all our guests!! I would have the characters again! The kids LOVED them, some of the adults were crying. It was such an awesome surprise. We had Cinderella and Prince Charming, who danced with the couple who had been married the longest (and us), and then took pictures with all of our guests. Mickey stole the show! He danced with the grandmothers and the aunts, helped us cut the cake, and then took pictures with all the kids in their Mickey ears. If I had to cut one thing it would be our dessert party! We were sequestered in front for pictures and didn't get to interact with our guests. I didn't really get to see their expressions or their reaction to the fireworks and music we pumped in. 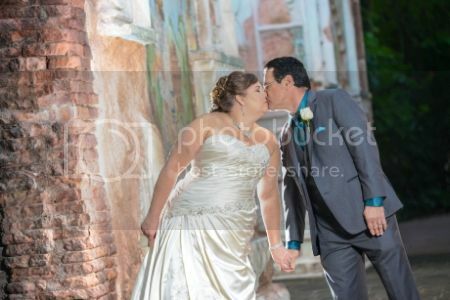 I could have skipped the DP and just gone out there with my husband for pictures. That being said, I have heard from guests since that it was a great way to cap off the wedding and I am in LOVE with my fireworks shots. So, I'm not saying I wouldn't do it again. It just wasn't my favorite part of the day. Since you have a small group, I like your idea of a boat trip during the fireworks! No question- rose petal cannon for our staged exit at the WP. It was a little pricey, but I loved it. I'm so happy to see no one has regretted the DP. So glad to see Mickey and Minnie weren't a regret along with MK Portrait Session. Two things we have absolutely planned on! These are so helpful for future brides! I have already told my fiancé a DP and MK portrait season are my must haves! Thanks for putting my mind at ease about it!